is a boutique law firm that brings a fresh, innovative and compassionate approach to the representation of individuals, families and businesses. The Goodheart Firm represents the financial and emotional interests of people who have suffered Personal Injury and Property Damage due to the wrongful conduct of others. 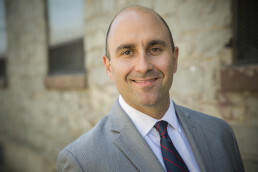 Whether as a result of a Motor Vehicle Collision, Medical Malpractice, a Birth Injury, a Traumatic Brain Injury, a Workplace Accident or a Slip/Trip and Fall Injury; The Goodheart Firm brings commitment, experience and passion to each case in order to provide the highest level of representation for its clients and to obtain a significant recovery. The Goodheart Firm also brings a unique and modern approach to the representation of businesses, entrepreneurs and individual/family business ventures. The Firm makes itself available to companies that require timely and thorough counsel. The Firm’s fresh approach to counseling clients often utilizes a flat fee budget rather than runaway hourly billing. This allows The Firm to be available for its clients on a moment’s notice without the concern that for each call the clock is ticking. The Goodheart Firm provides its corporate clients with cost-effective representation for both day-to-day operations and litigation. 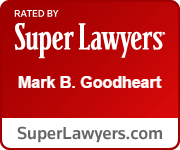 Mark B. Goodheart, Principal of The Goodheart Firm, P.C., is an experienced trial lawyer and counselor who brings a diverse legal, corporate, and personal background to the practice of law. "The Goodheart Firm is one you can trust and represents you with values that are reflected in its name. We promise to provide you with the attention to detail, legal support, counsel and communication you deserve. 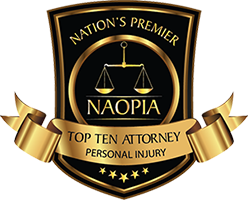 We are dedicated to your best interests, and provide our clients with personalized legal representation from the heart."